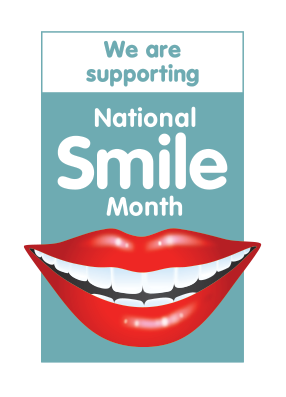 Britain’s National Smile Month lasts from 15th May until 15th June and at Carisbrook Dental we are pleased to support this most worthwhile campaign that is designed to encourage people to improve their dental hygiene awareness and if necessary seek professional dental help in order to improve their smile. The whole objective of this month-long initiative is to prompt everyone into smiling more often and in doing so helping to make the world a friendlier and happier place, so in this blog to mark the second week of the campaign we would like to explain how cosmetic dentistry can go a long way to helping you improve your smile. Last week we stressed how vital it was to maintain a healthy mouth and teeth by sticking to an approved oral and dental health routine and also by making regular visits to your dentist. Now we would like to explain how simple cosmetic dentistry can greatly improve your smile and give you the added confidence to smile more often. One of the simplest treatments is to remove any unsightly silver fillings you may have and replace them with more attractive and less obtrusive white fillings. This is a very easy procedure and at Carisbrook we can produce the exact shade of the composite white fillings to ensure that they match the colour and texture of your natural teeth so that they become practically invisible. We can also use white fillings to repair any chips to your teeth and to restore their natural shape and appearance. Another branch of cosmetic dentistry that can most definitely help to enhance your smile is of course orthodontics where our specialist team can gently correct the position of crowded, crooked or misaligned teeth in order to create a more attractive appearance. By correcting the position of your teeth we also help to improve your general dental health and lessen the risk of tooth decay and gum disease. Many people are put off discussing orthodontics with their dentist because they think that they will have to wear unsightly metal braces. These days that simply isn’t the case and we can fit ultra-discrete, virtually invisible braces so that no-one will even be aware that you are wearing them. These options include Lingual Braces that fit at the back of your teeth so that no-one can see them. 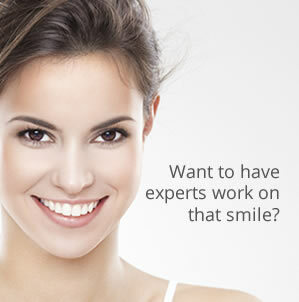 We can also offer Invisalign Braces that are transparent and virtually invisible. Yet another option is to have removable braces in order that you can take them out for social occasions and when dining. In addition we can also discuss how we can use the latest crowns, dentures, bridges and dental implants to replace broken or missing teeth. These are all now fairly simple and straightforward cosmetic dental treatments designed to eliminate gaps, improve your appearance and most importantly of all – to encourage you to smile more. Next week we will explain how there are still more cosmetic dentistry options, including a number of advanced teeth whitening treatments that will help you enjoy the gleaming smile you have always wanted along with the added confidence that naturally comes with it. If you would like to talk to us about any cosmetic dentistry treatments then please arrange your FREE CONSULTATION by calling us on 0161 951 7295 or alternatively you can contact us by using the online form on our Appointments page.